One-time ICT industry high-flyer Compudigm has gone bust owing millions of dollars. Based in Wellington, the company was run operationally from Las Vegas after it made several sales of its seePower software to the gaming industry. Compudigm entered receivership on March 28. 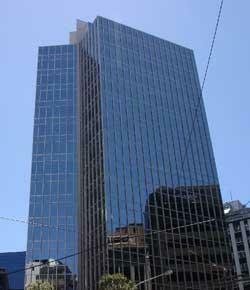 Fisk has sent home its 15 employees in Wellington and eight in the US. A few remain who will work with the receiver. Compudigm has naming rights on a building in Wellington’s Boulcott Street. Compudigm was founded in 1997 by Andrew Cardno and Craig Soper. Cardno was chief executive until last year. He resigned from his directorship in July 2007. Soper retired as managing director in 2001. He was subsequently appointed to the board of Maori TV and to the FoRST advisory board. He is listed as still holding 8.5 million shares. The company’s business partners included Sybase, Teradata and Bally Technologies. The latter bought the rights to Compudigm’s seePower gaming software last year. It had earlier been bought by casinos in the US, Australia and Macau. “Our role is to sell the assets, including the non-gaming software,” Fisk says. In 2001, Compudigm was nominated for the US Computerworld Smithsonian Awards for outstanding use of technology to benefit society. The nomination followed the success of Compudigm’s Telstra Sydney Olympics project, where its visual data management and analysis tool was used by Telstra Mobile to monitor and manage its mobile network coverage during the games. As a result, no calls were lost or interrupted during the Olympics. As part of the awards, Cardno had earlier received a laureate in San Francisco. In April 2007, Cardno told the New Zealand Herald the company had grown 230% and picked up 13 new customers in the previous year. He said it planned a major funding round over the next two years that could see it listed in the US.